Sign Up for Free Music! 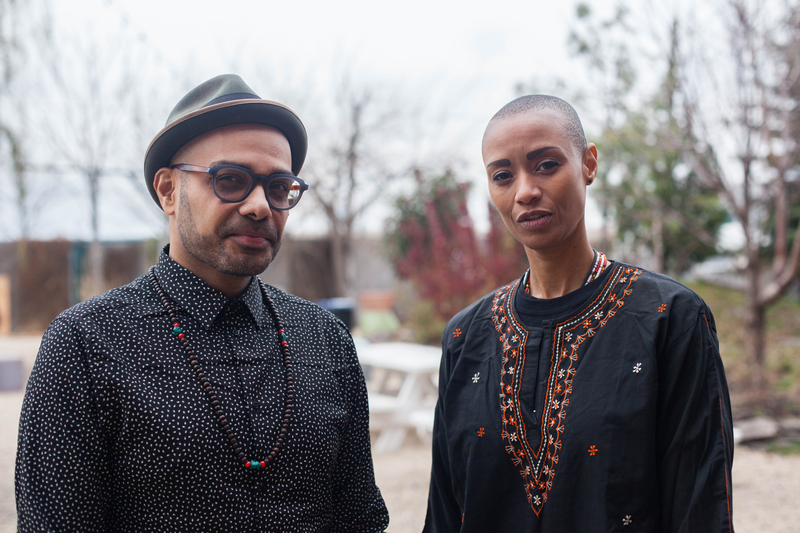 Turning Jewels into Water, a beat-and-ritual-based project from percussionist Ravish Momin (founder of Tarana) in collaboration with Haitian experimental electronic artist Val Jeanty (Val-Inc), began with a jam session at Pioneer Works in Brooklyn, NY, while Momin was artist-in-residence there in September of 2017. Their collaboration, rooted in improvisation shaped by ritual, evokes the esoteric realms of the creative subconscious. 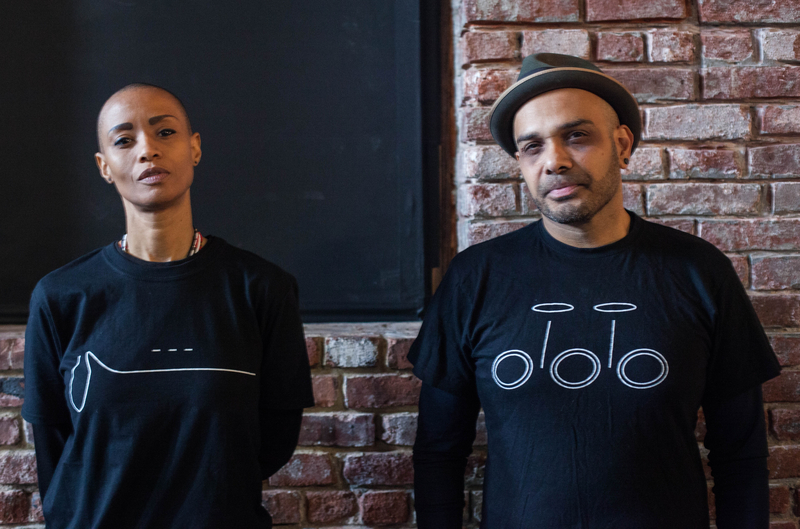 Drawing from the voodoo religion, Val recreates the ancient rhythm and pulse of Haiti through digital beats, while Momin, whose own musical background is rooted Indian, North African and Middle-eastern traditions, has developed an original blend of electro-acoustic beats, drawing together the improvisational traditions in Jazz and South Indian classical music. Together they explore the capabilities of new technologies to create a seamless blend of multiple electronic and acoustic instruments. Turning Jewels Into Water’s debut EP, Which Way Is Home, will be available from FPE in spring 2018. Copyright © 2019 FPE Records, all rights reserved. Designed by Zoda Design.